creole – adj. Cookery . indicating a spicy sauce or dish made especially with tomatoes, peppers, onions, celery,and seasonings, and often served with rice. I had never tried my hand at any sort of creole cooking, until it was suggested to me to try jambalaya. Jambalaya? My father had a hankering for it, so why not? My mom thought it would be the perfect idea for us to use a family-friend’s cookbook, as well as the rest of the shrimp my brother had sent for her birthday. 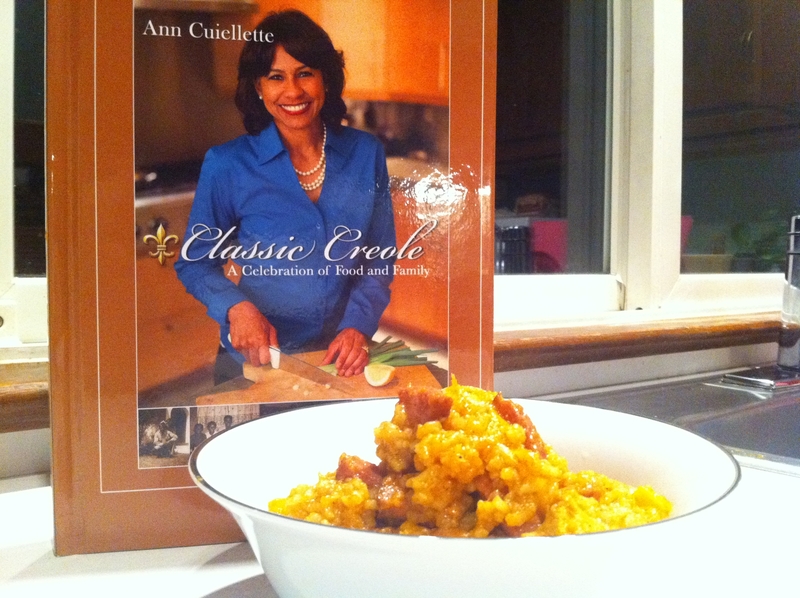 Ann Cuiellette is a friend of the family’s, and a creole chef. Last year, she released a cookbook to honor her family heritage after the devastation of Hurricane Katrina. I took a page from her book (literally), and made the best jambalaya I’ve ever tasted. Using a large pot on medium heat, saute’ sausage, ham, and chicken in olive oil for about 10 minutes ( just until the meat is lightly cooked on the outside). Add onions, green peppers, and garlic and cook, stirring frequently until they are soft ( about 10 minutes). 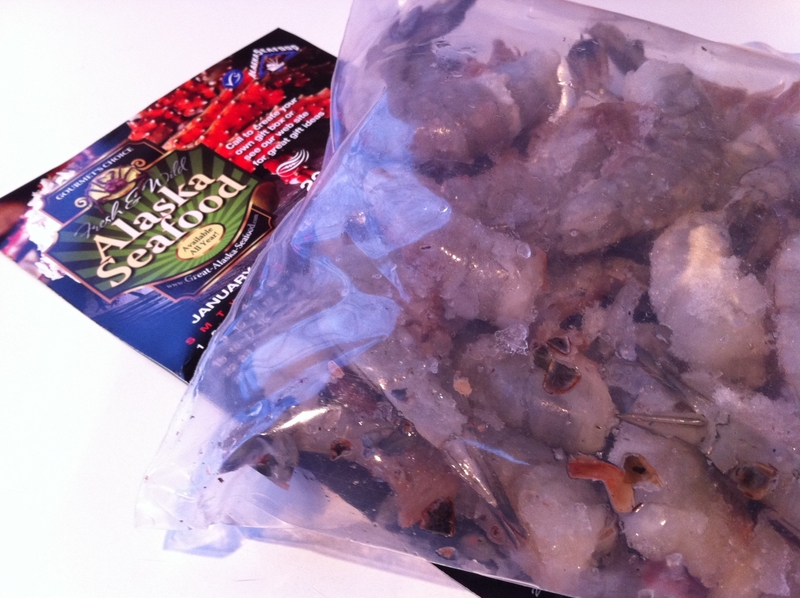 Add shrimp and cook until shrimp are lightly pink on both sides ( about 10-15 minutes). Add rice, tomato sauce, chicken broth, and mix well. Add black pepper, Creole seasoning, and bay leaves. 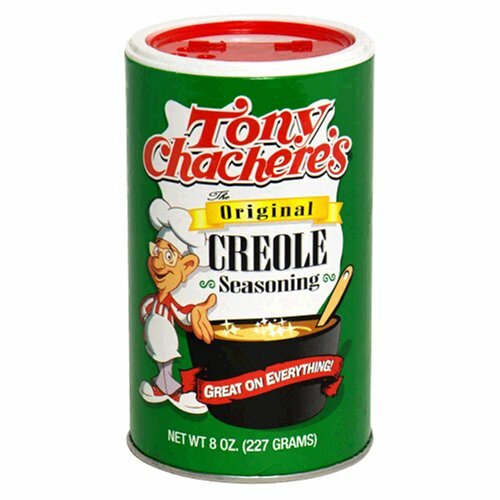 Also add a pinch of salt, but you don’t need a lot since Creole season contains salt. Turn temperature to low. Cover and let cook for about 15 minutes. The rice should start to absorb the liquid; if it looks too dry, add more chicken broth. Cook until the rice is tender ( about another 20-25 minutes). Turn off heat and let stand for about 15 minutes. Serves 6-8.